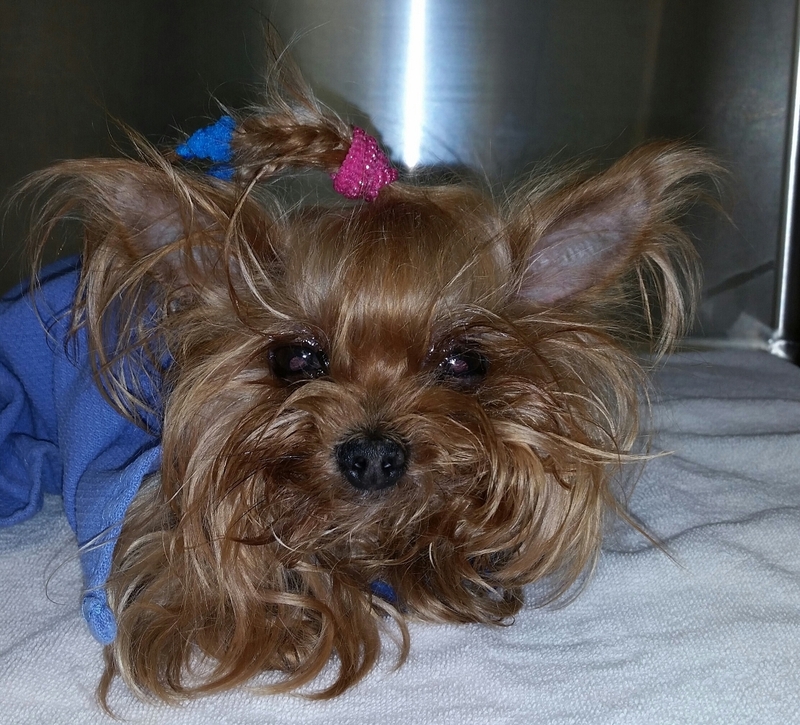 Our Patient Spotlight goes on Baby Doll, a nine year old Yorkie with Collapsing Trachea. She only weighs about 4 pounds but is in good body condition at that weight! 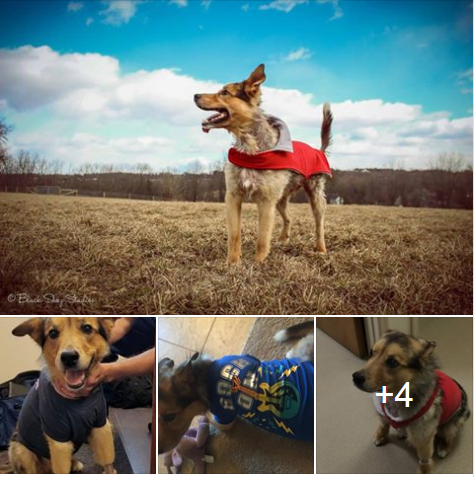 With age, Baby Doll's trachea (her windpipe) collapsed so that she was having a harder and harder time breathing due to her narrowed airway. Excitement and exercise led to coughing and potentially life-threatening distress. On the image, you can see how the airway (the dark tunnel running down the neck collapses down to almost nothing as it passed behind the shoulders. Last week we measured Baby Doll for and ordered a tracheal stent. This week we placed the stent during a 15 minute, non-surgical procedure. 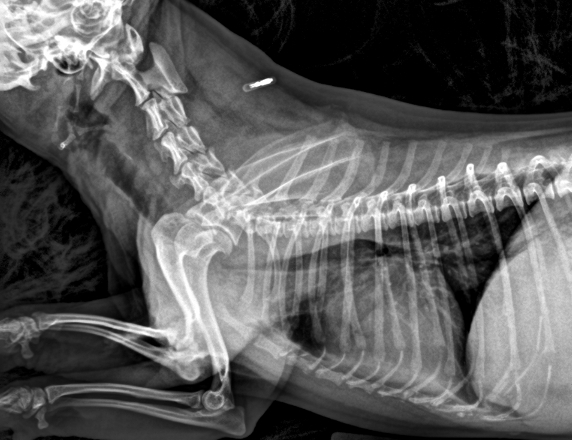 Via x-ray guidance, we placed the stent into her trachea, made sure it was right where we wanted it, and fully deployed it. 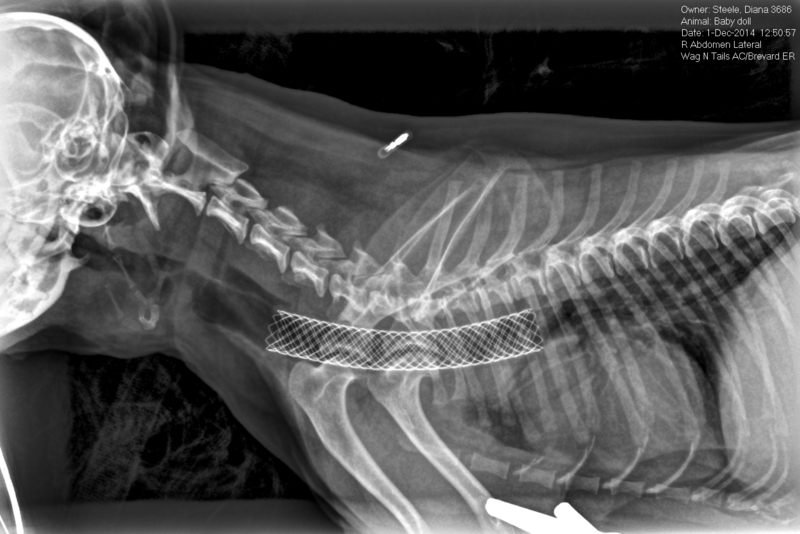 On the image, you can see how her airway is now held wide open by the stent. She recovered minutes later and has been a happy camper ever since. It's nice to be able to move air again!